To provide a Creative Corporate Christmas/New Year 2019 Blessing in Animation Flash/Video to Customer. - To be able send/play in Whatsapp & Facebook. - Company Logo will provide after shortlist 5 participant. - We will select 1 winner from 5 participant. Just a quick note to to say Thank You, Merry Christmas and all the very best for the New Year! 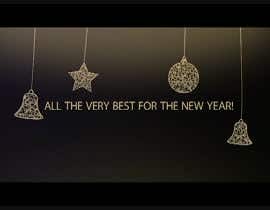 We look forward to year 2019 of fruitful partnership & greater prospects with you in the coming year. " - The contest will not be sealed - for those copy and reference others (based on submission date and time) will be disqualify immediately. For that prize you will only get a stolen generic templates (without a license) from the web.